accommodating up to five guests. 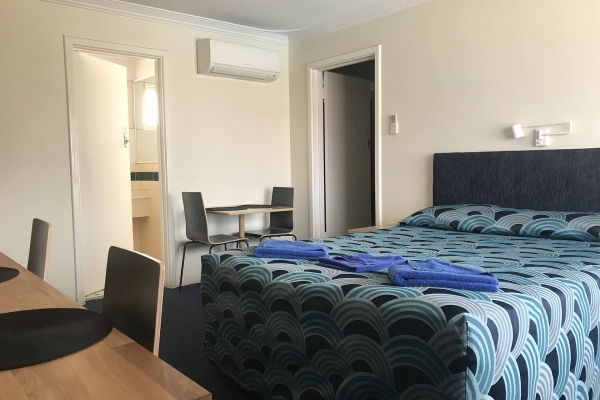 Bunbury Motel offers a variety of motel rooms, with numerous bed configurations. Whether you are travelling alone, as a couple or as a full family, there is a room for you. Each of our motel rooms is spacious and clean, with all of the comforts of home. Free wifi is available throughout the motel, including your room and recreation areas like the pool and barbecue area. We make sure our guests are well rested and well fed for their Bunbury visit. Our restaurant offers a hearty continental breakfast to start your day, and other food and refreshments are available from our deli fridge in reception from 7am-9pm. There is an abundance of things to do in Bunbury – day or night – but for when you choose to stay in, your entertainment options are just as much fun. Every motel room comes with movie channels, Foxtel Sports, and the Disney Channel for the young (and young at heart). Guests have access to the pool from 7am-9pm, so you can cool down and relax in the beautiful Western Australian weather. For the extra experience, there is a barbecue area for guests to enjoy, with a thatched, shade pavilion. Wheelchair/disabled accessible rooms are available on request. If you or another guest have special needs, please let us know so we can help make your stay at Bunbury Motel as comfortable as possible. Do you need a top quality motel room or fully-appointed apartment for your next trip to the south west? 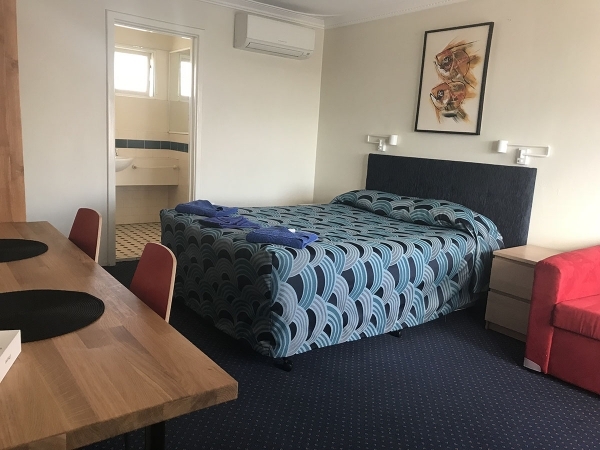 The Bunbury Motel family has expanded to include the Bunbury Apartment Motel – a newly-renovated development of luxury and standard apartments. 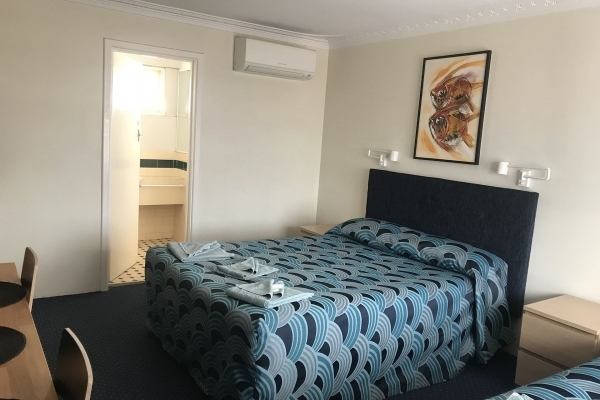 Right in the heart of town, Bunbury Motel and Bunbury Apartment Motel offer convenience and comfort. Whether you are in town for work or pleasure, or are simply making a rest stop on a long trip, you will find a home away from home here.